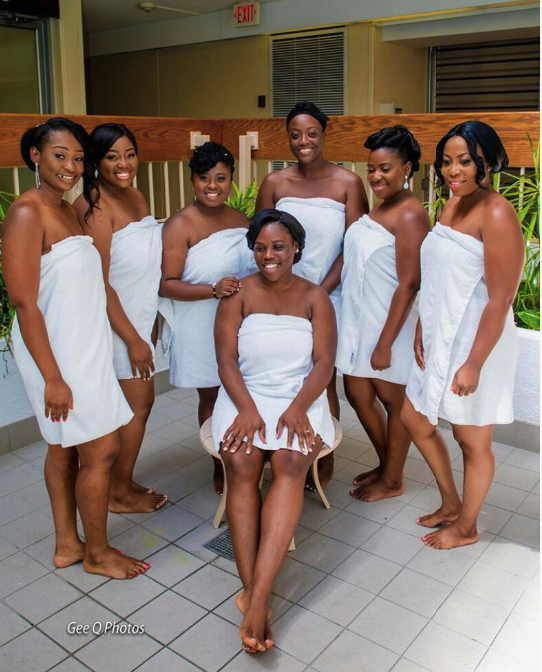 Nigerian bride to be and her 6 bridesmaids rocks Braless towel without footwear. See their smiles! Description : Nigerian bride to be and her 6 bridesmaids rocks Braless towel without footwear. See their smiles! 0 Response to "Bride And Her 6 Bridesmaids Goes Braless, Rocks Towel Without Shoes"